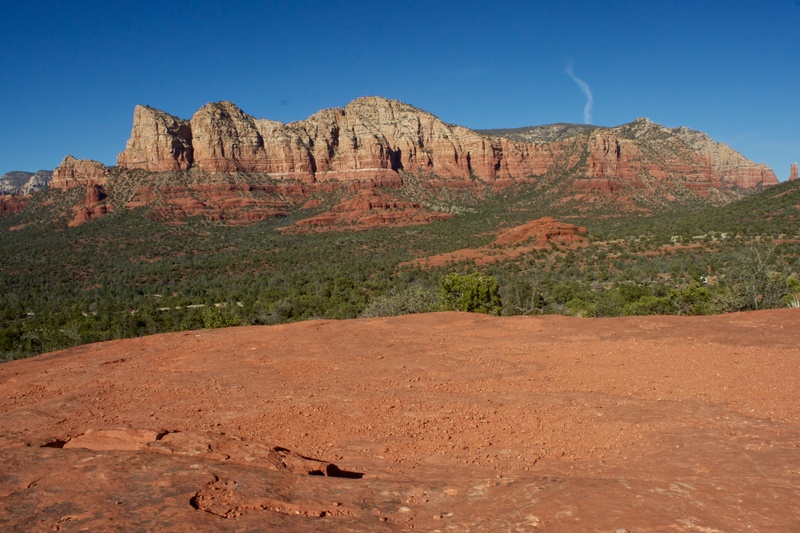 We’ve taken some outrageous hikes into some of the canyons here, hiking on this lovely slick red rock. In the late afternoon, the red colors cast a beautiful orange glow everywhere. And it is true what they say about the energy here. I’m not sure if you have to go to special “vortex” sites, but the energy definitely flows when you get into these rocks. More than once, I’ve had tears in my eyes from the blessed feelings and the intense beauty. 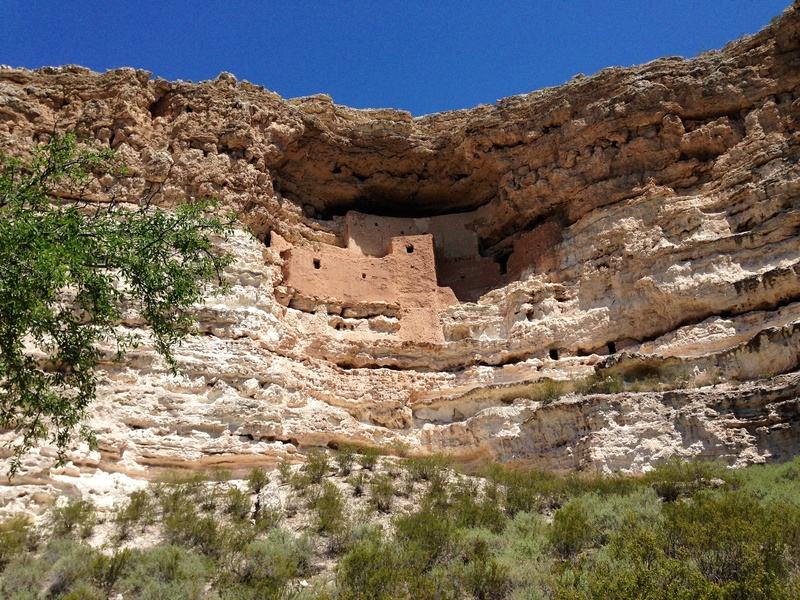 Montezuma’s Castle is an ancient pueblo site built into the face of a majestic white chalk mountain. Folks lived here between the 12th and 14th centuries. This is the main building – it has been mud plastered over to preserve it. Some of the original’s remain, but this is the most impressive. Montezuma’s Well was even more impressive. It is a natural limestone sinkhole over 450 feet across. It never dries up and over one million gallons of water flow into this well per day. Yes it really is in the middle of the desert. Tuzigoot National Monument. 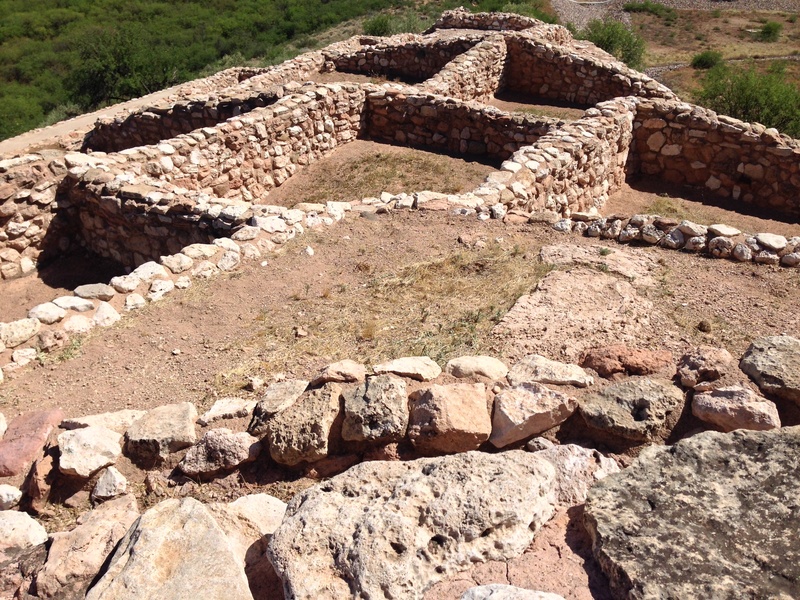 An ancient Sinaguan pueblo overlooking the Verde River Valley. Think I would rather have lived here. The views are fantastic! For more detailed info on these sites, please check out the following websites! We are so enjoying your trip. I hope one day to be able to spend a summer following your lead. Glad you are enjoying the journey. I hope one day to meet up with you in a campground somewhere and take a hike together! Thanks guys! Likewise with your blog and photos on that side of the ocean! What different things we are each seeing and experiencing.